For those who have been wondering, the guest bathroom is still a work in progress… We ran into a couple of problems (nothing major… except for a minor leak while updating the plumbing which eventually had water coming down through the ceiling into the living room) but no worries! 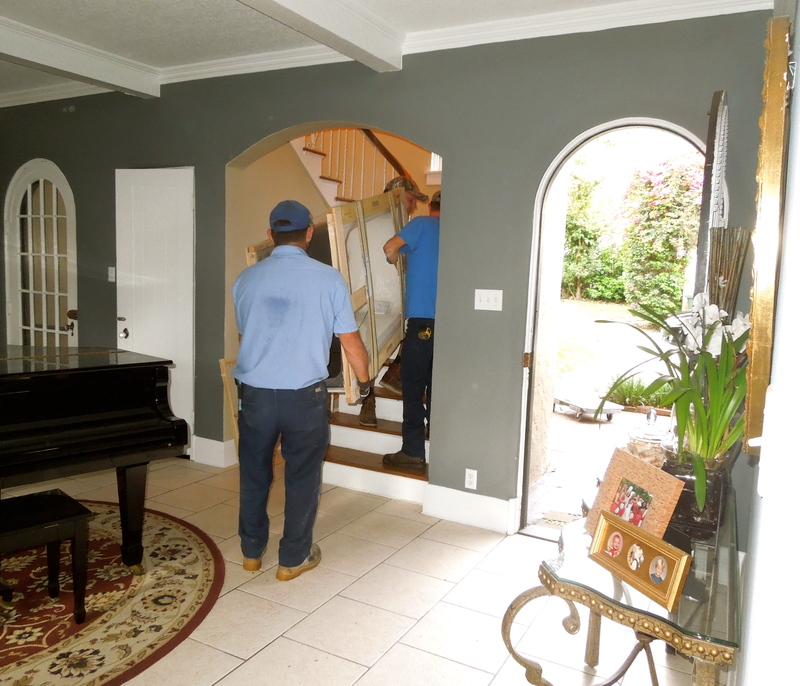 When you have an older home you realize real quick that you need to have a great plaster/ ceiling guy on speed dial. The bathtub is in. 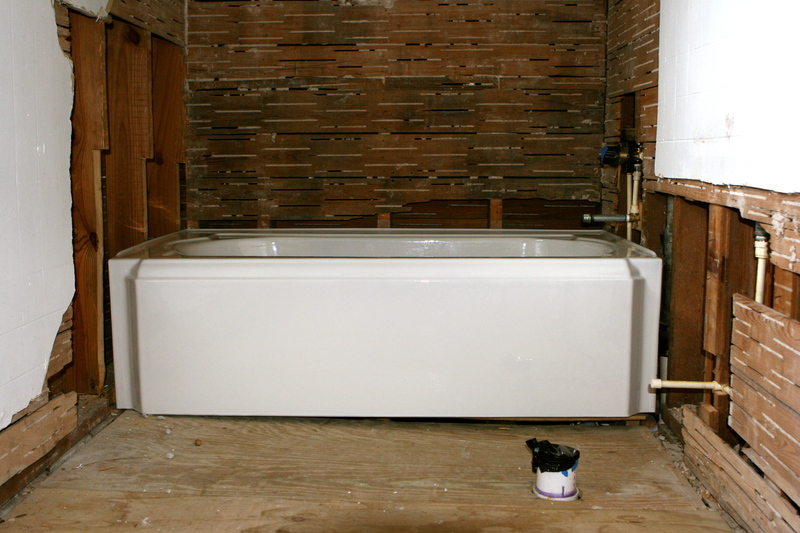 I was a little worried about it and you can read about why here, but as you can see in the picture below, the guys got the tub up the stairs peacefully, installed it, and leveled it. SO HAPPY! 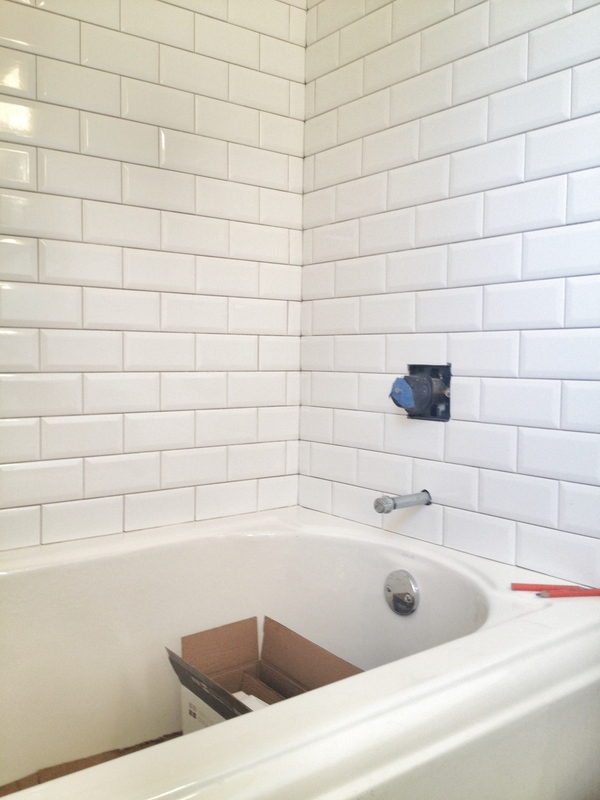 The tile work is done and the wainscoting is going up today and tomorrow. I think we are on our final stretch to the finish line! I still need to pick out some light fixtures, but other than that it’s good to go! 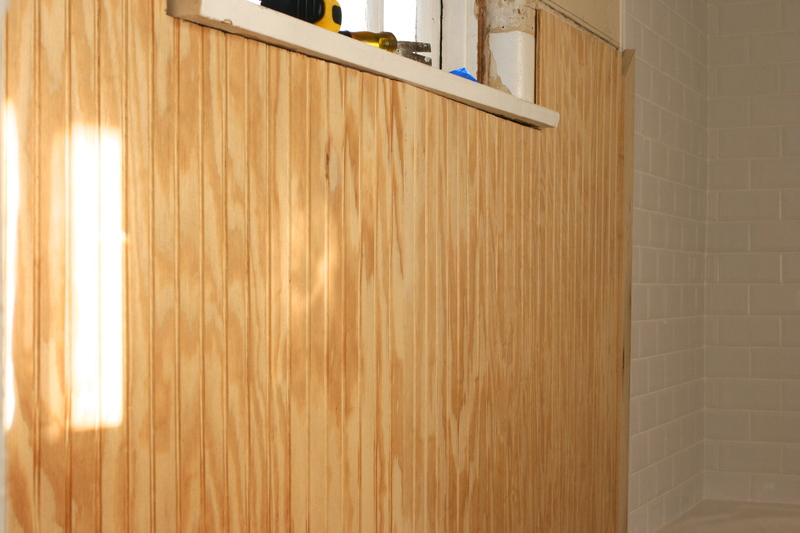 Next post will be the reveal of the guest bathroom! Then moving on to the master! This entry was tagged art, bath renovation, design, historical homes, home decor, home renovation, inspiration, photography. Bookmark the permalink.